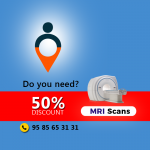 MRI Scan cost in India - Pay 50% lesser - Save your Money! MRI Scan cost in India – Pay 50% lesser – Save your Money! For appointments, check the below pages. Magnetic Resonance Imaging or MRI is a noninvasive medical imaging technique used in the field of radiology to capture images of the bones, muscles and tender tissues of the human body using strong magnetic fields and radio waves. An MRI scan is used to detect diseases, functioning or abnormalities of different body parts like a brain, spinal cord, joints and bones, heart, blood vessels, breasts and many other internal organs. The MRI scanners come in different powers and are measured in magnetic field strength units called Teslas. The standard MRI machines commonly used are 1.5T while the one with highest technology available in the market is 3 Teslas. The MRI scanner is a tunnel shaped machine which is about 1.5 meters long. It is surrounded by a large circular magnet. The patient needs to lie down on a sliding table and is moved into the circular magnet. The part of the body being examined is backed by an aerial like device called the “receiving device”. This device is used to detect the radio signals emitted from the patient’s body. Once the procedure starts, the scanner passes magnetic and radio waves to the body or the part being examined in short intervals. During this process the protons in the body send back the radio signals. The protons in the various body parts emit back signals differently. Hence, softer tissues can be distinguished from the harder tissues. These emitted signals are detected by the receiving device in the scanner and they are transferred to the computer where the images are created on the basis of the signal sent. MRI scan is considered to be highly defined and beneficial. Sometimes prolonged exposure to the radiological waves during the scan increases the body temperature artificially, this can be a risk factor during pregnancy and should be avoided. But MRI scan has got its own benefits. The procedure takes around 15 – 40 minutes, depending on the part of the body being scanned. People with claustrophobia and small children may need general anesthesia to keep them still during the procedure. This is because, any movement during the procedure may disturb the clarity of the images produced. In some cases, there might be a need of a contrast dye. This can be injected into the veins of the patient (IV), or may be asked to drink it or it can also be given in the form of enema. This helps to give clearer picture of the tissues and organs being observed. MRI scanners are noisy and produce noise of about 110 dBA (decibels). It sounds almost like a mill or an aircraft engine. Therefore, just to reduce this discomfort patients may be given headphones to listen to some radio or music over a CD. The computer simultaneously captures the images but it might take a while for the radiologist to conclude on the results. Post scan, the patient may be asked to rest for a while and then let go. 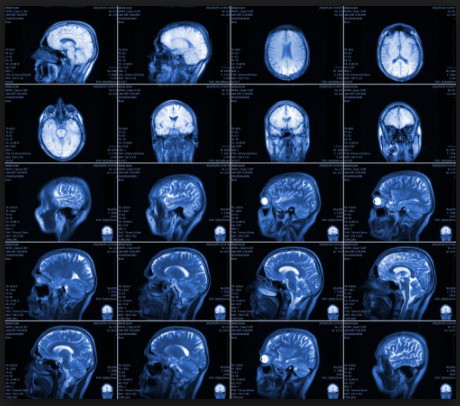 Brain MRI Scan – The Functional MR imaging of the brain was introduced in the year of 1993. When the radio waves pass through the head, they create images of the brain and its surrounding tissues to diagnose conditions like stroke, brain abscess, hearing loss, dementia, multiple sclerosis, headaches and tumors. 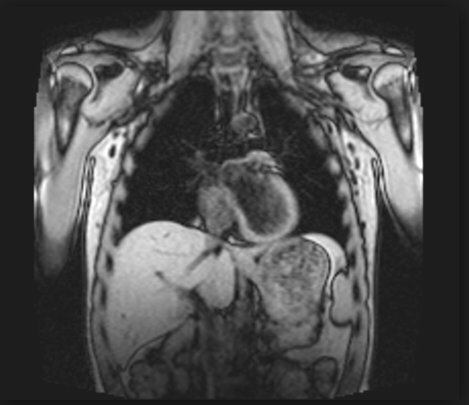 Chest MRI Scan – The real time MRI of the heart was developed in the year of 1987. MRI of the chest helps detect problems associated with the chest cavity, including the mediastinum, chest wall, pleura, heart and vessels. It is also useful in diagnosing the functioning of the lung. Breast MRI Scan – This is usually ordered in concurrence with mammography or an ultrasound of the breast in women. This helps in analyzing breast cancer and damaged breast implants. Abdominal MRI Scan – This scan is prescribed to scan the internal structure of the stomach. It helps check the blood flow, blood vessels, inflammation and infection, pancreas, liver and kidney and other associated abnormalities, including cancer in the abdomen area. Cervical MRI Scan – This scan helps diagnose when a patient faces symptoms like numbness in the neck or the leg region and pain in the neck or arms. It helps detect tumors, birth defects or any injuries to the spine. Knee MRI Scan – More than 80% of the population beyond the age of 55 face knee pain. 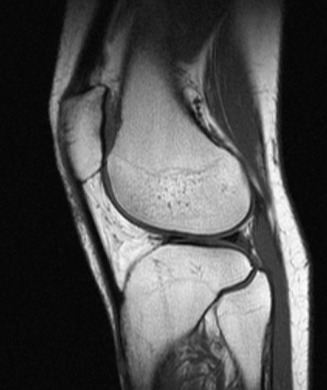 MRI Scan of the Knee helps the orthopedician investigate the knee joints for tumors, arthritis, inflammation in the knees and broken bones or ligaments. MRI is widely used in the field of clinical neurology, cardiology and Oncology. There is a continuous growth of MRI imaging in the radiology diagnostics to examine more and more body parts. The scan has been helpful to the physicians to diagnose problems with any part of the body providing a strategic base plan for the treatment of diseases. India is “developing” and developing very fast. There is improvement in every sector, industrialization and urbanization is picking up pace, leading to lifestyle changes. With all these things happening around there is tremendous change in the health of the people and also the healthcare delivery system. India’s current population is 1.324 billion (2016) and is expected to grow by 38% in 2026. The UN estimates that by 2050, 875 million of people will occupy the urban areas, the cities and the towns of India. With this development, there are a lot of socioeconomic, cultural, environmental and physical changes people are facing. These changes have a great effect on the health and wellbeing of the people. There is visible increase in the list of infections and diseases occurring due to environmental changes like, air pollution, climatic changes including global warming, and chemical pollutants in the nature, technologic, or terrorist disasters. Though there is a huge development in the healthcare facilities and services, India still falls short of it. It is not enough to serve this huge population. Indians are visiting hospitals more and more to meet their healthcare needs. The urban population goes to the hospitals and labs around them, the rural and the untapped population also comes to the same hospitals to avail these healthcare facilities. In a study by NSSO in 2014, 41 out of every 1,000 people were hospitalized in India, among which 42% were rural patients. In the reasons of hospitalization, Infections topped the list with 24%, followed by Cancers, Blood Diseases (11% each), Endocrine, Metabolic and Nutritional problems (10%), psychiatric and neurological disorders (7%), Eye (6%), Ear (5%), Cardiovascular diseases, respiratory and gastro – intestinal abnormalities (4% each). These diseases need thorough management and early detection. Certain tools like new pathological tests and radiology imaging methods like X-Ray, CT, MRI and PET CT scans have changed the outlook of the people towards the diagnostic industry. With the help of these tests, doctors have been able to detect and diagnose diseases at an early stage and plan treatments accordingly, saving many lives and reducing premature deaths. 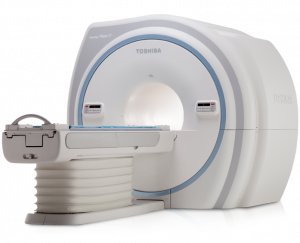 There are many new technological MRI scanners that are being launched in the market. They are faster, quieter and produce more accurate and clear results. The set up costs are really sky-scrapping. Hence these tests turn out to be too expensive. MRI scan is considered to be one of the expensive tests in radiology diagnostics. They cost you anything from INR 4,500 to INR 25,000. Additionally, these tests can be conducted only by scan centers that are AERB (Atomic Energy Regulatory Board) approved and ISO (International Organization for Standardization) and NABL (National Accreditation Board for Testing and Calibration Laboratories) certified. They are backed with an assurance to deliver best quality service and efficient technical competence. Higher the technology of the diagnosis, greater is the cost of the test. Coping up with healthcare costs is not easy, what’s good for people’s health may not be that great on their economic wellbeing. Poverty still prevails in India and the growing burden of healthcare cost kills many. Indian Constitution grants free healthcare to all, but that’s not the only way out. Non-availability of high end technical diagnostic tools and increased reluctance of qualified and experienced healthcare practitioners in most of the parts of India has bought the healthcare system to a sad state. And where all the facilities are abundantly available, the cost is sky high. How easy is it to get an MRI Scan Appointment Online? MRI scan is a noninvasive radiology imaging technique. The entire process needs around 15 – 40 minutes. The huge and heavily populated metro cities in India are borne to major environmental changes due to development of different sectors resulting in people suffering from Non-Communicable and Chronic Diseases. In today’s healthcare market, there are many patients who cannot avail the healthcare services for some reason or the other. At first place it is difficult to find a quality scan center, secondly if you find, it is difficult to get through the appointments. It applies the simple demand vs supply rule; the demand for these services is higher than the supply for these healthcare services, especially in the metro cities. In this fast paced world, it is very difficult to follow the traditional pen – to – paper method of booking appointments for tests. Internet usage is so high these days that almost 49.8% of Asians use internet. This includes booking travel, hotels and medicines too. It is important to change according to the technological needs in this digital era. Digitalization is gaining importance to book appointments with hospitals and laboratories and is actually working out well. It has got its own benefits like saved time, monetary savings, online access to reports and reduced number of no shows. BookmyScans is one platform that helps you with the information of quality scan centers near you. We are currently providing services around seven metro cities in India being Delhi, Mumbai, Bangalore, Hyderabad, Chennai, Surat and Coimbatore. Bookmyscans partners only with centers that are approved and certified. They are periodically audited for providing quality services and technical competence. Bookmyscans has served 10,000 plus people and has helped them save more than Rs.1.2 crores in last 6 months through our discounts and cost efficient services. 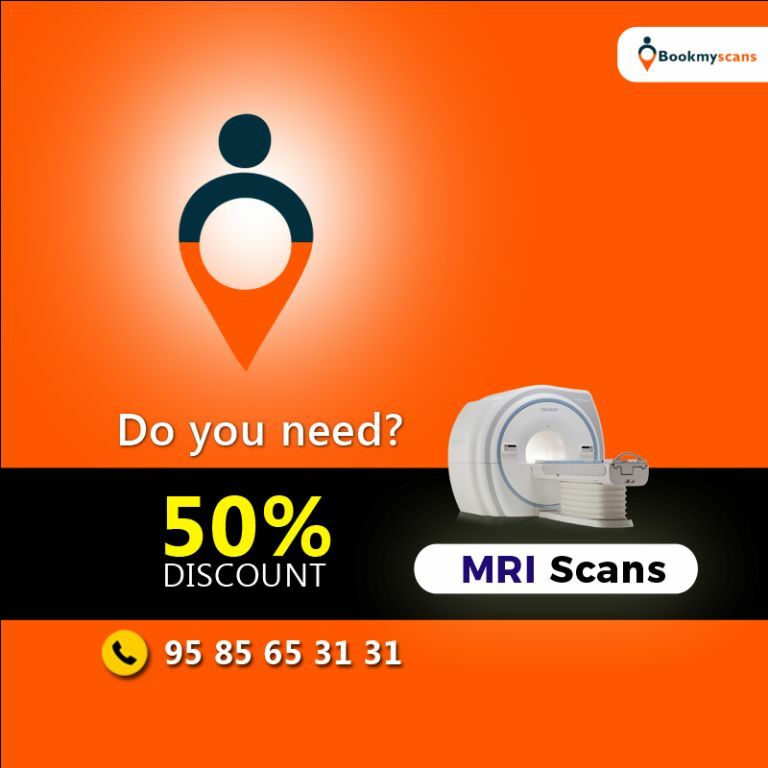 You can now avail MRI scans at minimum 50% discounts in any of the above mentioned cities. BookmyScans assures you best quality reports that can be accessed online and also downloaded. We work 24/7 and you can book appointments conveniently with the centers of your choice. Don’t wait; we are only a few clicks away! 75% OFF from actual MRI Scan cost! 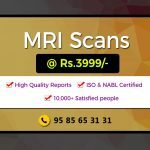 – High Quality MRI Scan in Mumbai! 75% Discount – Best MRI Scan centers in Bangalore – Know the Exact Cost!